After hiking near the Topanga Canyon in Los Angeles, California last May, Joshua Oliva discovered a new species of firefly where he named after his mom. 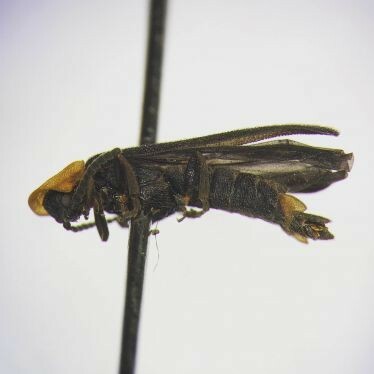 The recent graduate of University of California, Riverside apparently made a new firefly species discovery and was confirmed as a new species this week. The official naming of the firefly may take a few years but Oliva has chosen to name his first discovery after his mother. Oliva revealed that he does not want the firefly to be named after him and would rather honor his mom since she was also the reason that both of them went hiking on Topanga Canyon on Mother's Day. Oliva graduated with a degree in history but he has always been interested in insects when he was a freshman in college. During this fateful hike, he was also searching for insects for an an entomology class project. When he first observed the firefly, he noted that its black body with an orange halo and a small organ protruding at the end of its tail was rather unique and unlike he has ever seen before. Oliva then brought the insect to the UC Riverside Entomology Research Museum for identification where museum scientist Doug Yanega revealed to Oliva that this particular firefly species has not been in any category before which was later confirmed by experts from the University of Florida. Oliva says that Doug had a pretty good idea that this firefly was a new species right away and told that I have made a really exciting discovery. Yanega says that UC Riverside researchers discover about a dozen of new insect species every year however, Oliva's firefly discovery is notable since new discoveries are not typical of undergraduate students. He adds that new species are discovered here all the time which has been routine where people are dumbfounded to learn that new species are literally right under their noses. This new firefly discovery is also unusual since many insect species were not identified immediately after they have been under a collection for a decade or more says Yanega.